Just in time for Halloween we reeforce the already well known connection between Long Island and being dead. Now that the New York Islanders have apparently relocated to Brooklyn, which is still physically ON Long Island, but is actually part of New York City, the are traditionally considered “Long Island is Deader that EVER. That said, we’re glad the team seems to have escaped the clutches of SUPER GREEDY Nassau County and is staying in the area. This gives them the distinction of being the most famous Dead Long Island Sports Team in the sense theywill have left “Long Island” proper for Brooklyn, where after more than 30 years they will again share a building with their former roommates at the filthy and horrific concrete cavern that is the Nassau Veterans Memorial Coliseum, the one time New York, the New Jersey, now Brooklyn Nets. I really hope the Islanders get out of their lease so they can win again, and Brooklyn would be perfect. Whatever the case the Barclay Center seems to have ever increasing possibilities. Okay! Okay! technically it’s not an Island, just a Terminal Moraine! because we have so many interesting dead people!” Long Island’s contribution to popular culture runs deep over the course of the 400 years since the Dutch arrived. From the obvious to the obscure, from statesman to musician, Long Island has bred them all. 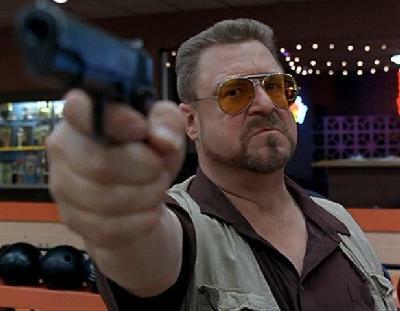 Here’s our Top 10 List of Famous Dead Long Islander’s NOT named Teddy Roosevelt; in no particular order. We are of course, ready to revise this list the moment Lindsay Lohan finally gets herself killed drinking or some other inventive way, perhaps related her second job as a jewel thief. Based on her unending history of self destructive activities we can only hope we don’t have to add her anytime soon. 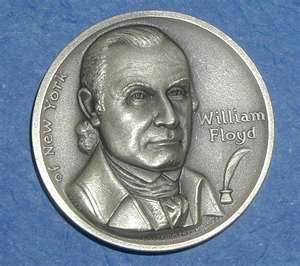 Floyd Harbor failed, but the Founding Father and Long Island’s only signatory of the Declaration of Independence’s life was one of success. Born in Suffolk County, the Socialite began his political career in 1769 as an official for the Town of Brookhaven. 9- Harry Chapin– though technically from Brooklyn, the singer songwriter and philanthropist, most well known for his hit “cats in the Cradle”; will forever be linked to Long Island by way of his tragic death on the Long Island Expressway on his way to perform at a charity function at Eisenhower Park where the Lakeside Theater now bears his name. 8- “Unsinkable” Molly Brown- Titanic survivor and suffragist, you may remember her being played by Academy Award winner Kathy Bates in 1997’s Titanic. While Leo may have been better off single or with a bigger piece of wood after the great ship went down in 1912, Molly Brown lived another 22 years and was laid to rest in Holy Rood Cemetery in Westbury. 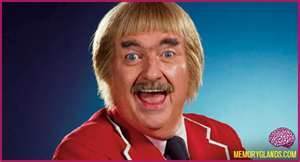 7- Bob Keeshan aka Captain Kangaroo– the Lynbrook native, best known for playing the titular character in the classic children’s show “Captain Kangaroo”. Running from 1955 until 1984 on CBS, the show entertained millions of children from coast to coast for generations. He was laid to rest in Saint Joseph’s Cemetery in Suffolk. 6- Gary Cooper- as a leading man in dozens of movies from the Golden Age of Hollywood, Cooper was nominated five times for an Academy Award and won twice, he was born in 1901. Son of British immigrants, his father was a Montana State Supreme Court Justice. 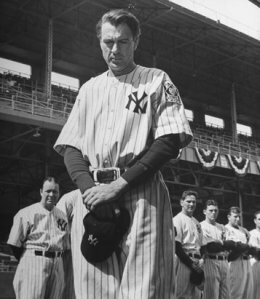 Cooper’s storied career included the classic “High Noon”, which newly inaugurated presidents traditionally watch in the White House to prepare them for the challenges that await them, and the tear jerking true story of Yankee Legend Lou Gehrig, “The Pride of the Yankees”. He was buried in 1961 at the Sacred Hearts of Jesus and Mary Roman Catholic Cemetery in Southampton. 5 John Coltrane– John William “trane” Coltrane is still well known to music buffs for his contributions to the Jazz genre, he was laid to rest in Pinelawn Memorial Park, Farmindale in 1967 at the age of just 40. The saxophonist and band leader still commands a loyal legion of fans. john Coltrane is a worthwhile wiki search and considered a highly influential in the world of music. This about being a dead famous Long Islander, so we’ll leave it to fans and critics to debate his merits. 4- Jack Dempsey-More than spawning the nickname for a popular breed of fish, he made his living in the Squared Circle. As a practitioner of the Sweet Science of Boxing, he rose to international fame. Born in 1895. He was Heavyweight Champion of the World from 1919 to 1926, facing off against such boxing legends as “Battling” Levinsky, “Gunboat” Smith and “Fireman” Jim Flynn. He bobbed and weaved his way through life starting in 1895 until 1984. He was inducted into the Boxing Hall of Fame in 1990. He was laid to rest in Southampton, which is a town ready for the most celebrity ridden Zombie Invasion of all time. Floral Park’s Robert Maplethorpe’s photography was as artistically acclaimed as it was controversial. It prompted a national discussion about where art ends and obscenity begins. Even should it make your skin craw a little, Robert Maplethorpe’s work is most definitely art. My home towns most famous but by no means least profane native son! photographs, including iconic photo’s of New York’s Creative Royalty such as Andy Warhol and Deborah Harry, his life was as controversial as it was short. 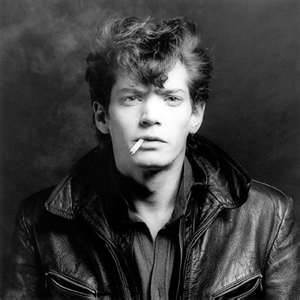 Mapplethorpe’s 1989”Perfect Moment collection went on tour the last year of his life, 1989. It drew national attention as Congress debated whether or not the art was “Obscene”. The controversy helped create the modern legal definition of what isart and what is considered obscene. Aged only 42 when he succumbed to the AIDS virus, his artistic contributions live on. 2 Guy Lombardo- Though his band may have been called the Royal Canadians, Guy Lombardo chose move from his birthplace of London Ontario and live the majority of his life on Long Island (understandable). A fixture on national TV for decades for his famous band’s rendition of Auld Lang Syne, he was a New Year’s Eve Institution for decades. Still leading a band he touted as making “the sweetest sounds this side of Heaven”, he went to sample the music behind the Pearly Gates first hand when he died in 1977 at age 75. He has yet to come back to prove the veracity of his claim. 1- Count Basie- One of the many artistic celebrities on our list, William “Count” Basie was one of the most pivotal musicians of his time. He introduced the world to his unique sound, working with such musical luminaries as Billie Holiday and the glass shattering Ella Fitzgerald. He was laid to rest in Pinelawn Memorial Park in Farmingdale in 1984. He was 79.